Following on from the launch of their popular AR.Drone in 2010, Parrot have unveiled their latest creation in the form of the new Parrot AR.Drone 2.0. The new technology included in the updated version now allows the pilot to have more control as the AR.Drone 2.0 can keep itself oriented to the pilot. Rather than the pilot having to keep the drone going in the same direction. 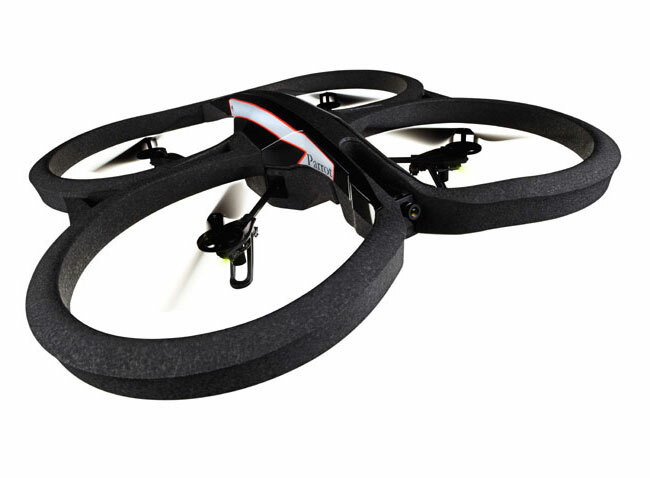 Watch a hand on video from CES putting the AR.Drone 2.0 through the motions after the jump. The AR.Drone 2.0 is also equipped with a new 720 p onboard camera and can record either video or images and beam them directly to your smartphone. The engines used in the new AR.Drone 2.0 are also much quitter than the original. Unfortunately no information on pricing or worldwide availability has been released as yet, but as soon as it iswe will keep you updated as always.